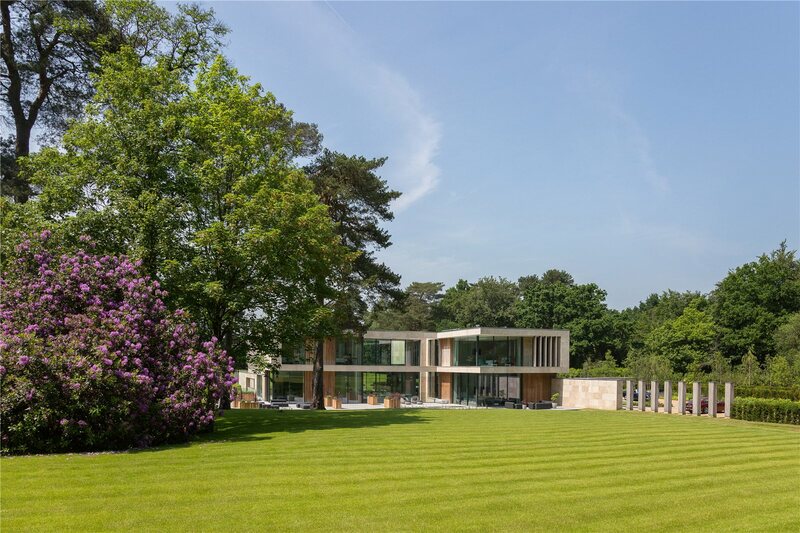 Situated on the internationally renowned Wentworth Estate close to the 12th fairway, Jura is a new house which encapsulates all the best of modern architecture combined with state of the art interior technology. Set in unusually large grounds of over 5 acres in an idyllic setting. 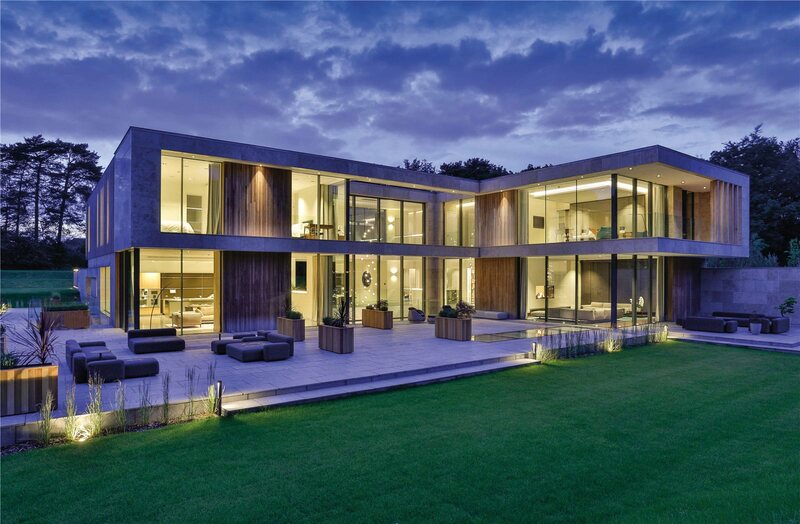 Extending over three floors, this landmark contemporary house is built using natural materials, and offers over 21,000 sq ft of exceptional living and entertaining accommodation. 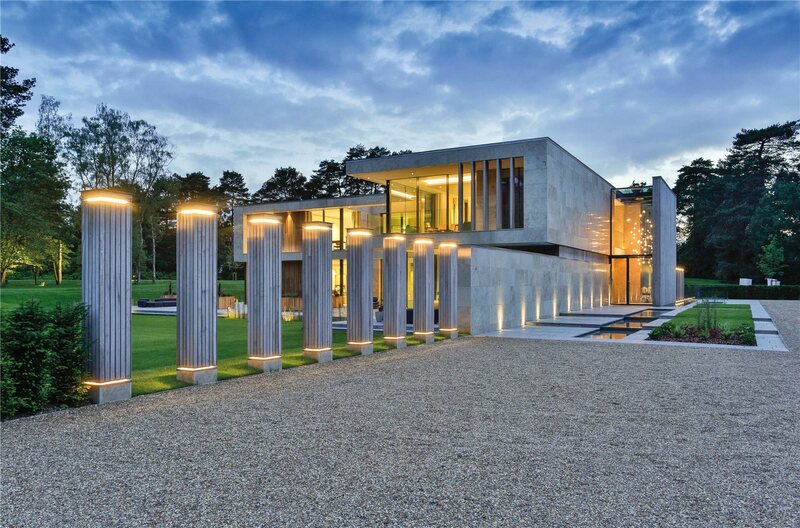 Designed and completed to the highest possible standard and specification, the overwhelming impact on entering is one of space and light. Jura is built around an intelligent home automation system used to control temperature in each room, along with all other systems including music, lighting and electronic blinds, either locally or remotely, using touch screens, pc or iPad. The house has under floor heating to the ground and lower ground floors with trench heaters and radiators on the first floor giving a more responsive control. There is also comfort cooling throughout. 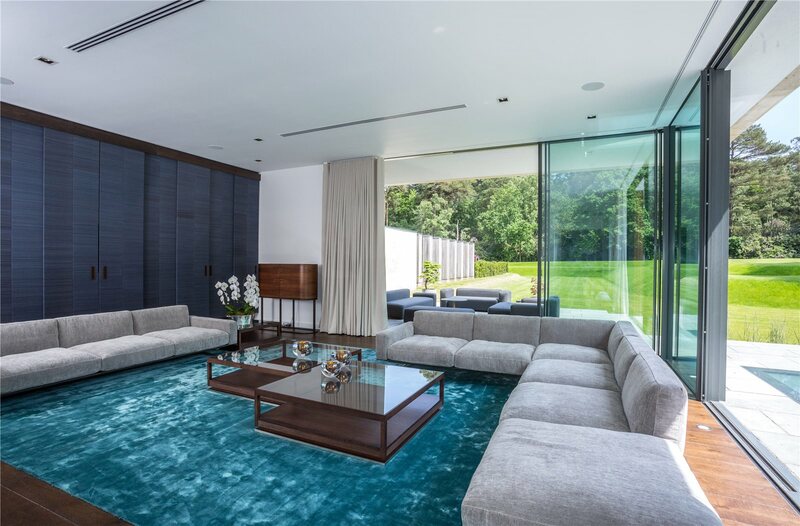 The same materials blend from the outside in, with extensive use of natural materials and glass, resulting in a unique visual experience throughout the house. The property consists of two wings, with a three storey central light well. This ensures that all rooms, including those in the lower ground floor, are flooded with natural daylight. Schooling in the area is exceptional with renowned schools nearby such as Wellington College, Eton College, Lambrook, St George's and St Mary's Ascot. The house is well located for international schools such as tasis in Thorpe and acs International in Egham. Fine dining can be enjoyed in a variety of bistros, brasseries and restaurants including the Wentworth Club. 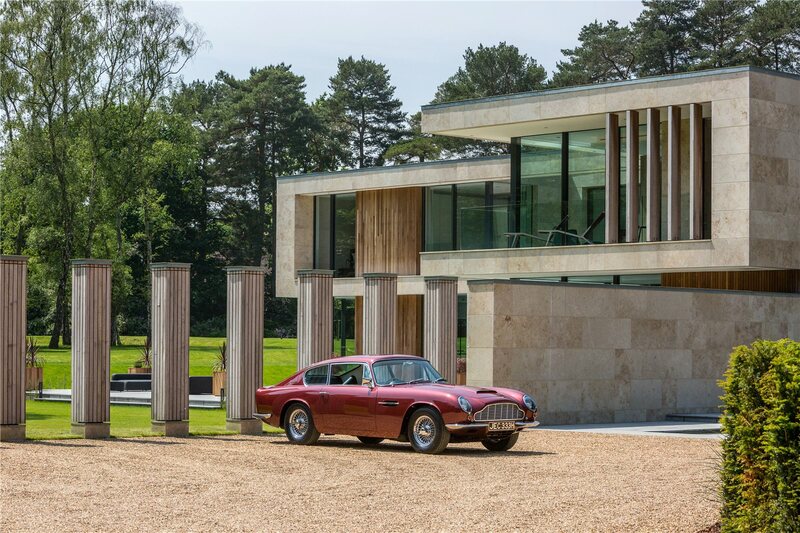 The prestigious address extends to around 1,750 acres and dates back to the early 1920's when the rural dream of developer W J Tarrant became a reality, creating large houses in beautiful mature gardens surrounding the golf course. 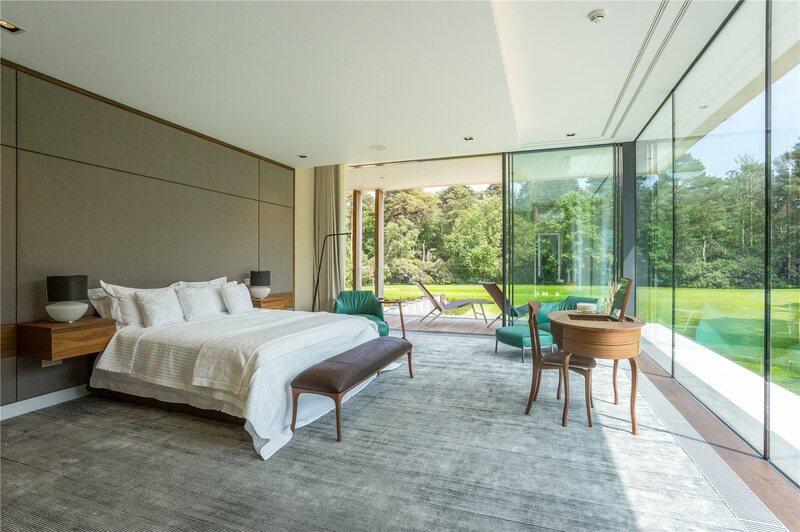 Lying within the green belt, the Wentworth Estate now is a sanctuary of impressive houses on quiet roads surrounded by three 18-hole championship golf courses and a 9-hole executive course. 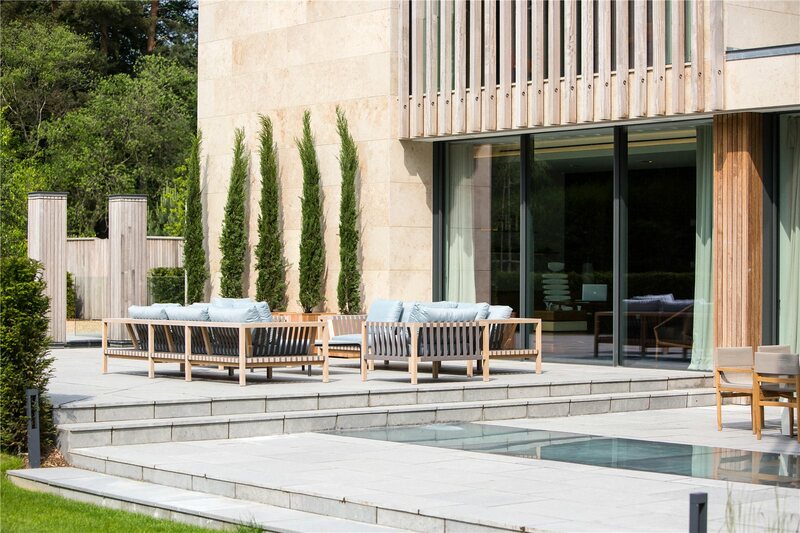 The Wentworth Club, situated in the middle of the estate, also offers swimming pools, tennis courts, a health and leisure club, spa and restaurants. Communications to London and the airports are excellent due to the convenient proximity of the M25 as well as a mainline station to Waterloo. Virginia Water 1.5 miles (London Waterloo 45 minutes) Ascot 4 miles, M25 (J13) 4 miles, Windsor 6 miles, Heathrow (T5) 8 miles, Central London 21 miles. (All distances and times are approximate.